And well, here she is all finished up and ready to go! While I can't personally vouch for the performance before the Cliffy protectors, I can tell you that the game plays very smoothly now and the lanes work great along with everything else! 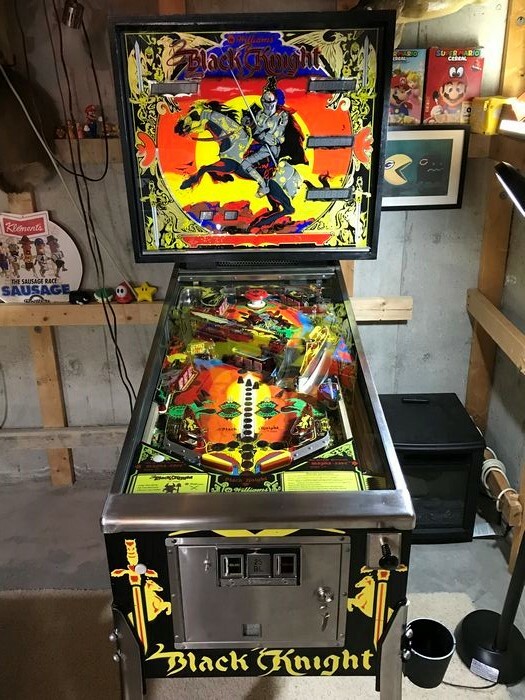 It's in amazing condition if I do say so myself. Time for some money shots! I hope this machine will bring lots of joy to my friend Eli's family, and will be enjoyed for many years to come! It's been an amazing experience to work through a project like this. It's been very challenging and very rewarding. 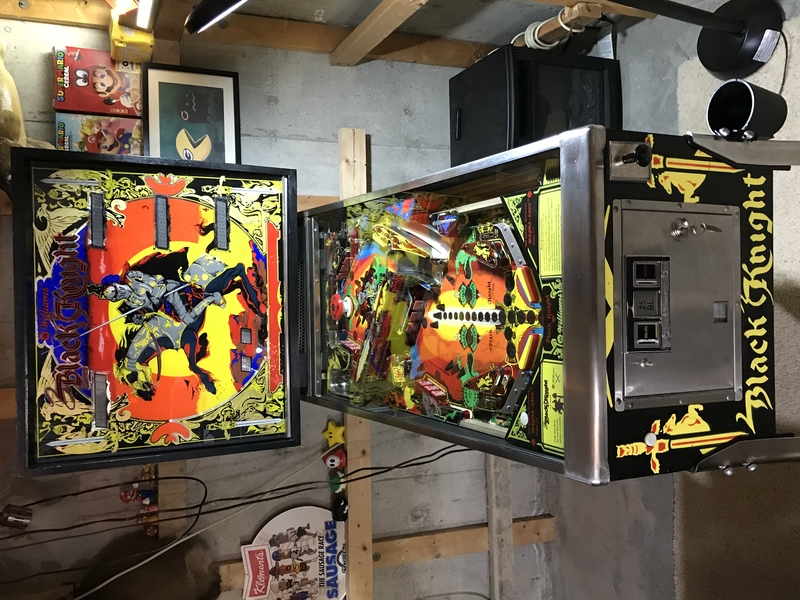 I am no pinball expert, so anything I did throughout all of this was thanks to extensive reading and/or asking questions on various forums. 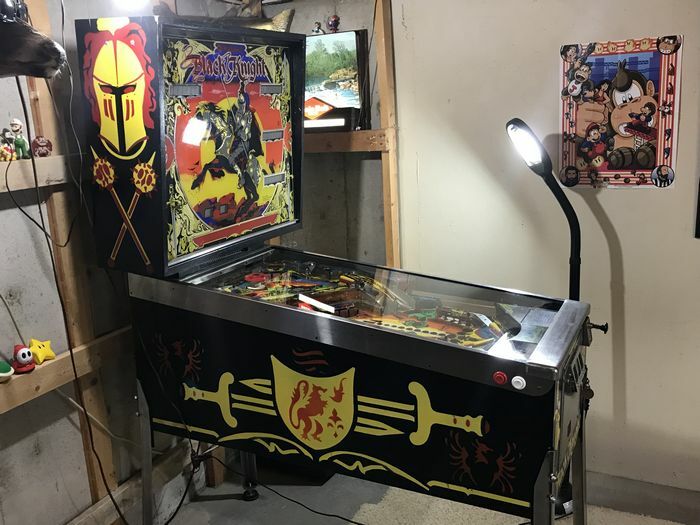 The pinball community is really filled with a lot of amazing, incredibly helpful people. There's just so many people out there willing to help, just to help out "the game" so to speak. It's been really great being a part of it. I was able to get everything working with a good helping of intuition, a whole LOT of reading, a good dose of others help and perhaps a little bit of luck. And with that, that is the end, my friends. Currently I am just inviting lots of friends over to "play test" the machine further. I want to really bullet proof this thing before I bring it back! I want there to be no bugs. But someday soon it will be gone and delivered to its forever home! A sad day for me but a very happy day for one family. And to end here is just a small clip of me starting a game! Here are some links for various sites that I found particularly useful throughout this project. 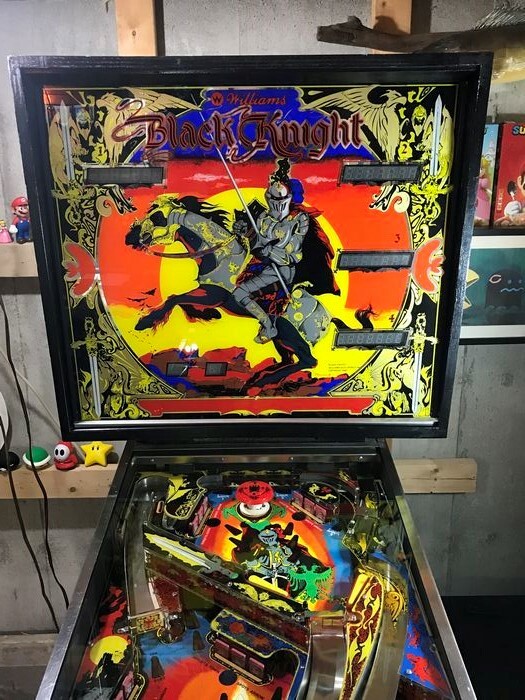 The IPDB page for Black Knight - This site is an amazing reference for ALL pinball machines. Lots of good stuff here. 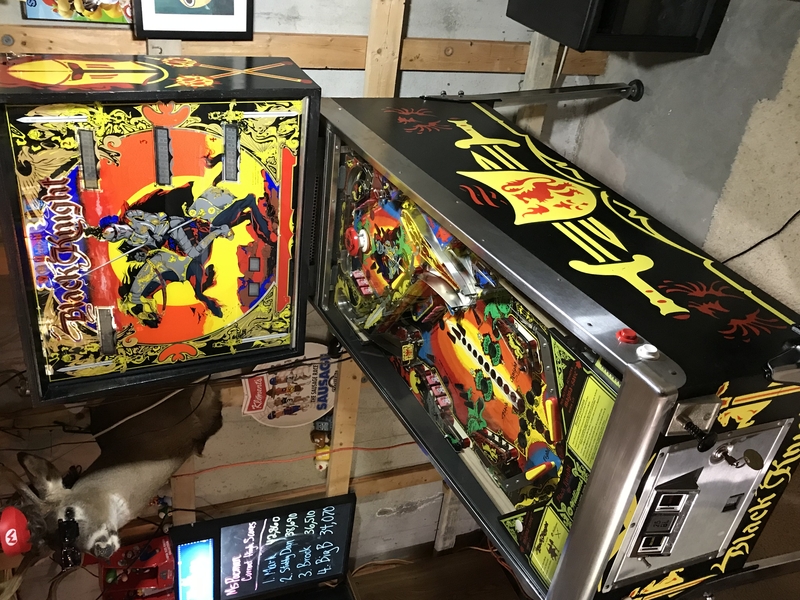 Glossary of Pinball Terms - hey I had to read it to start to get the lingo down enough to even ask questions of other people. 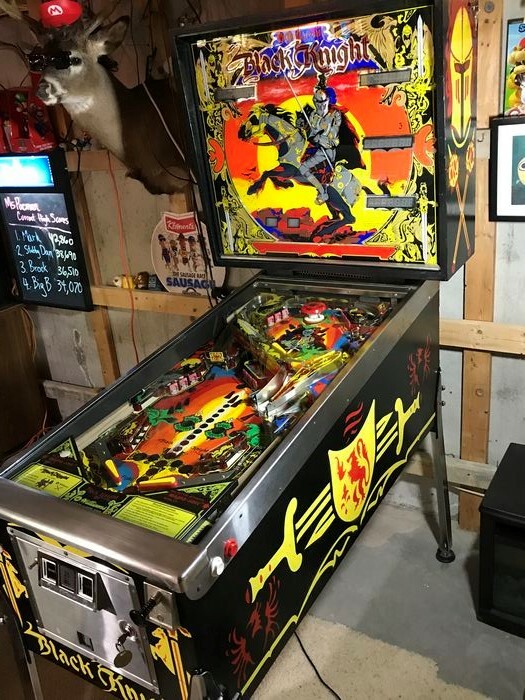 Shop Job Master List - this is the ultimate "master checklist" of virtually all pinball maintenance that is involved throughout the entire project. Such a great list to reference to make sure you covered all your bases. I went through and did virtually all the applicable parts on this page. Note that their hour estimates they list are not accurate for me as I obsessively read about and hemmed and hawed before doing anything new, to make sure I was really ready. Williams 1980 Parts Catalog -- This catalog is invaluable when trying to search for specific part numbers! 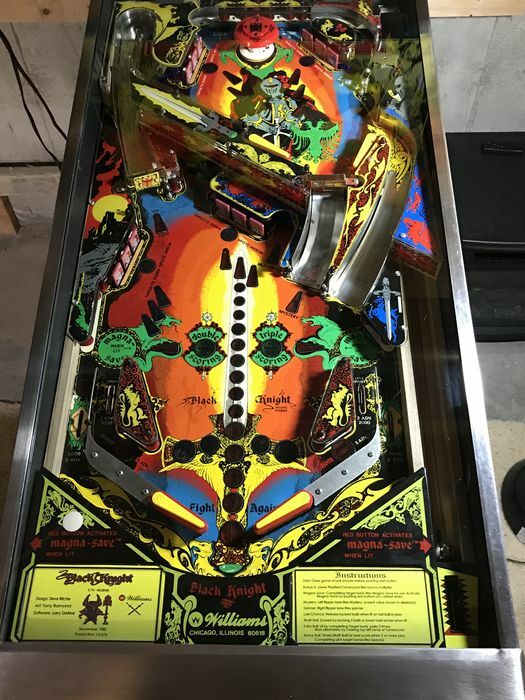 A way more in depth guide on pinball repair is on PinRepair.com Parts 1, 2 and 3 were all useful. Guide to System 3 - 7 William Pinball Repair -- This was where I got the info about adding the additional fuses to the rectifiers. A lot of the rest of the info did not apply in this case because we got an aftermarket cpu/mpu board and power board replacements. Guide for Pop Bumper rebuilds - This was useful when tweaking the one pop bumper on this machine. Guide for Lamp Socket repairs - useful guide on getting those light sockets back into shape. Switch Matrix - Theory and Troubleshooting -- When the board was having all those weird grounding issues it fried one of the rows in the switch matrix. This was fun to learn about. Rotten Dog board grounding issue with the feet that we experienced. 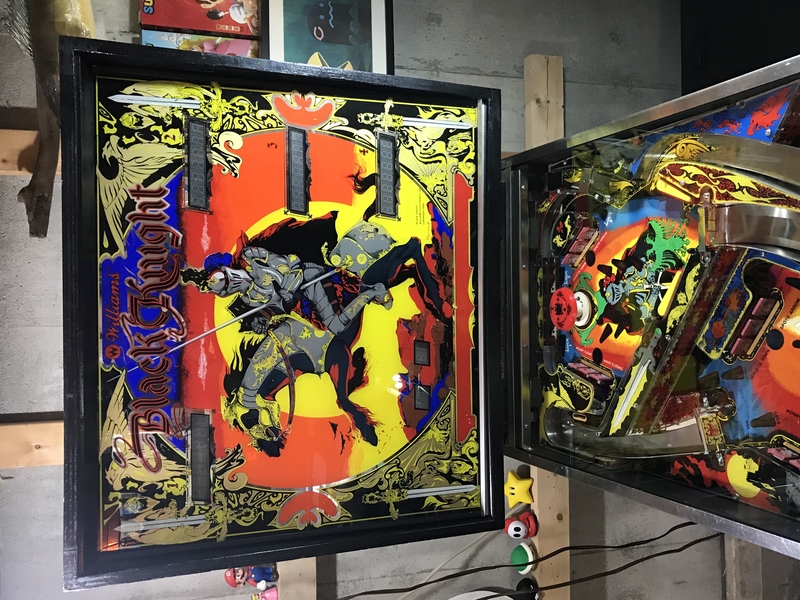 Someone else's Black Knight restoration page for their machine -- Mostly I just used for reference picturess, but it's fun to see others similar projects and problems. Another one of someone's BK restoration page -- just another page I found specific to a BK. Cool to see more pictures.